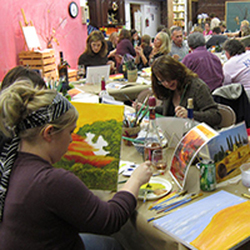 Joining the Springfield Art Association is the best way to support the visual arts in Springfield. You receive discounts and members-only opportunities awhile the SAA earns important revenue to keep the doors open to offer a range of programming and creative opportunities to all who are interested. Your support is a vote of confidence both to the SAA and the value of the visual arts in the community. Volunteers are a valuable asset at the SAA. We appreciate all that our volunteers do for us and we take their recognition seriously. One of the ways that we recognized the families who support us with their efforts is through our annual Beaux Arts Ball. The Ball is just one of the reasons we ask for the names and ages of your children. We also customize age appropriate classes and programming based on this information. NEW: Monthly Payment Options Available! You may join for as little as $5/month! Join here at the Individual, Family/Dual, Patron, or Sustainer I level. This is an annual membership based upon automated monthly renewal through a credit card. ​Twelve month minimum to receive benefits. Discounts on classes, camps & events, early registration access for camps, and personal invitations to all SAA events. Discounts and early registration access for classes, camps & events, and personal invitations to all SAA events. Invitation for your children to participate in the Beaux Arts Ball. 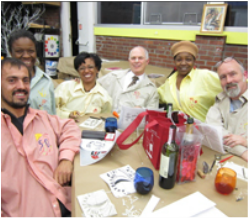 The Palette, our Quarterly newsletter. An invitation for your children to participate in the Beaux Arts Ball.